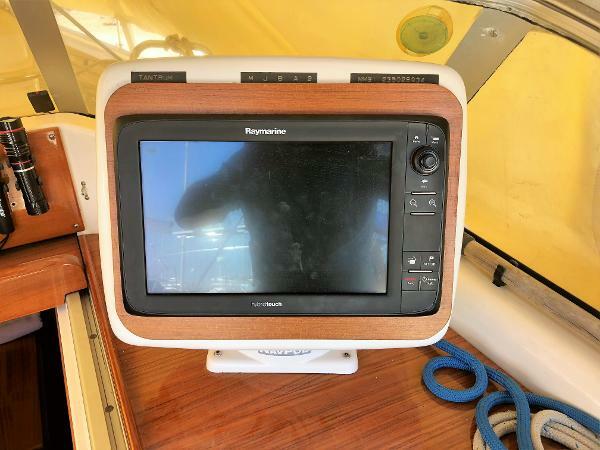 2004 Najad 380 for sale - "Tantrum of Hamble" was sold new by ourselves, She is in excellent condition and has a very good level of equipment.- This is an extremely good looking and a very comfortable cruising yacht! She has an unquestionable pedigree and a proven build quality! A superb cruiser in every way! The Najad 380 was second to top boat in the Yachting Monthly's "Best boats of the last 100 years" in their centenary issue! (second only to the J class Endeavour which came first!) - this also a close sister ship to Jean Socrates round the world single-handed record breaker! 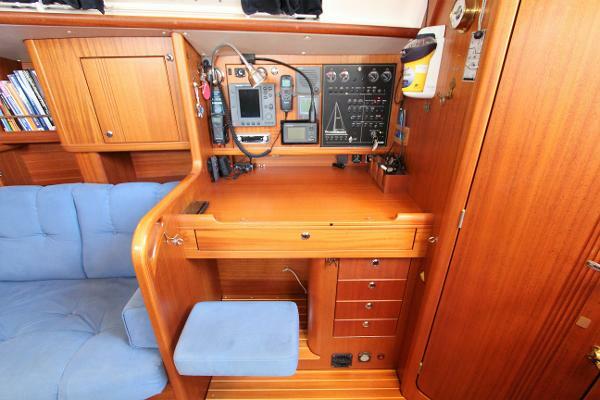 A boat that should definitely be on your short list! 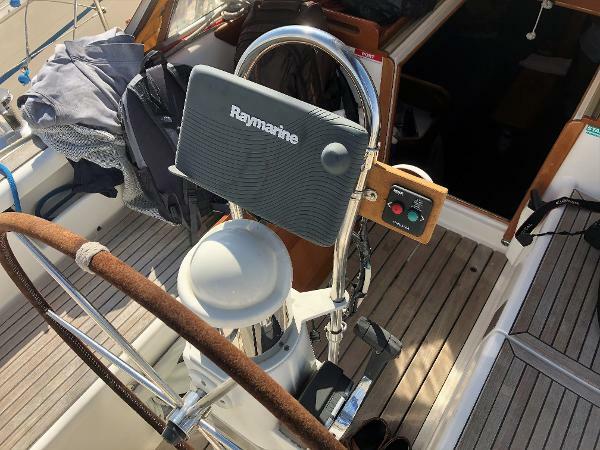 Raymarine RL70C Plotter at chart table interfaced to helm position. 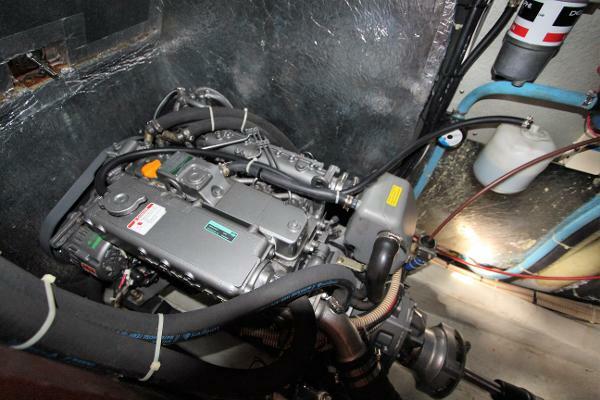 240v Shorepower with upgraded circuit breakers, separate controls for 12-40 Battery Charger, Water Heater and Sockets. 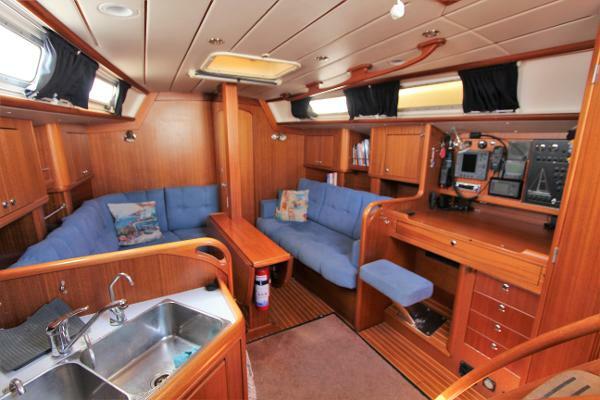 Teak on deck, coachroof, aft cabin & swimming platform. 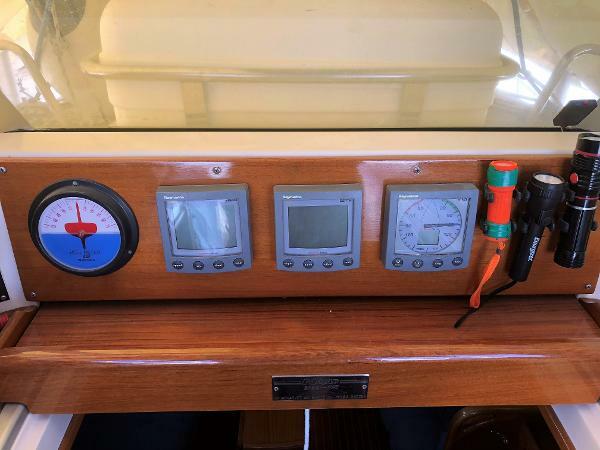 Separate windlass control in the cockpit. Bruce 20Kg Anchor with 60m 8mm chain. Brass Rubbing Strips for all Cleats. Fractional rig with twin spreaders and twin lower shrouds. Mechanical Backstay adjuster. 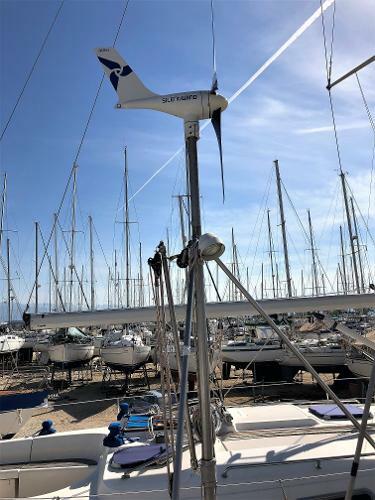 Furlex 300 and twin track forestay. Mainsail 450 sq. Ft (41.8 sq. m) Tri-radial cut DC Mylar by UK sails. Fully battened. Furling Working Jib 105% Tri-radial cut DC Mylar by UK sails. Pioneer Stereo/ AM/FM radio with 10 CD stacker, 2 speakers in saloon, 2 speakers in the cockpit. The first class interior is hand crafted in selected and unstained African Mahogany, hand polished and varnished to a satin finish. Cupboards and doors with profile milled frames. 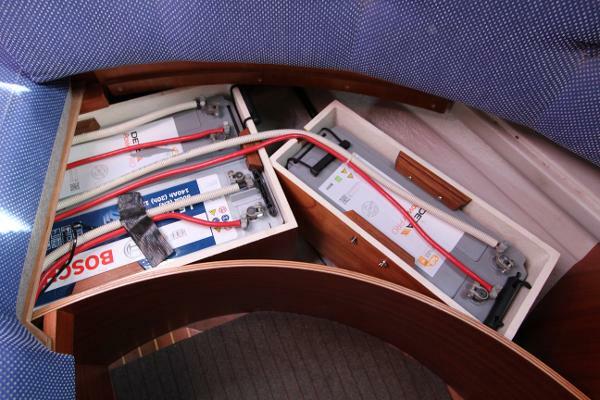 The hull is insulated and lined with Mahogany ribs above berth bottoms. Soles of varnished teak plywood with holly inlay. Inspection hatches for the bilge and stowage. 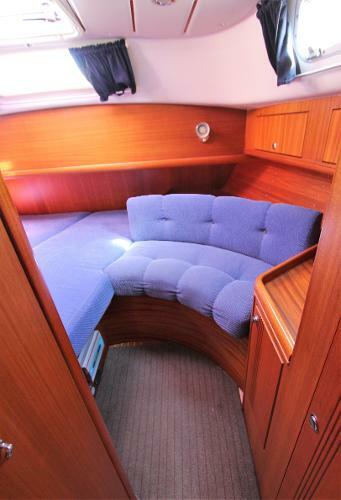 Offset double and settee in aft cabin . 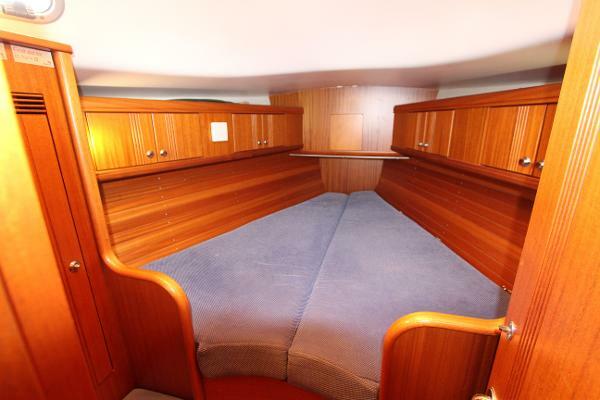 The linear galley is located amidships allowing free passage between the cockpit and saloon. Separated from the saloon by a bulkhead with integrated grab rail. Stainless steel twin sinks. Pressure system with accumulator tank for hot and cold fresh water.. Single lever tap for hot and cold water. Fixed gas pipes with remote controlled shut off valve between cooker and gas bottle. Work areas are easily cleaned. Well insulated ice box, 100 lt. incl. refrigeration unit and suspended baskets. Stowage area outboard of sinks. Storage cupboards for plates, cups and glasses, utilising peg boards to secure crockery. Cupboard under cooker for pans, etc. Waste basket fitting under sink. 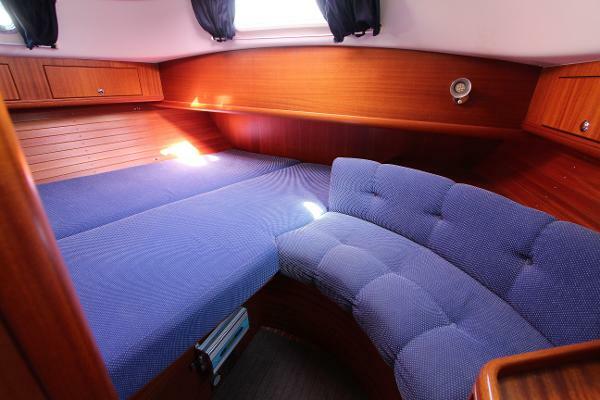 The spacious saloon is the central living area in the boat. Two settees surround the saloon table. Folding tabletop on starboard side. Bottle stowage in centre of table. Ample overhead lights and reading lights for settees and berths. 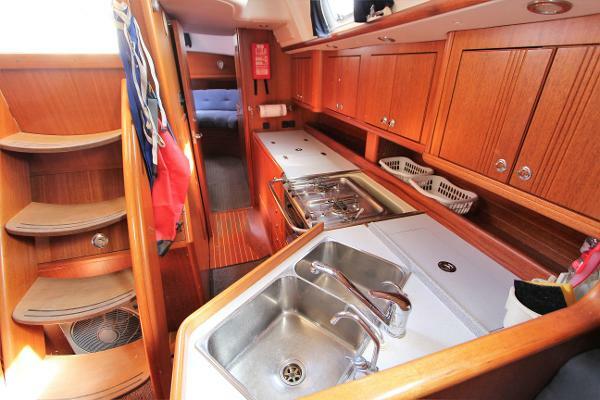 Grab rail on starboard side in the saloon ceiling and on both sides of the companionway. 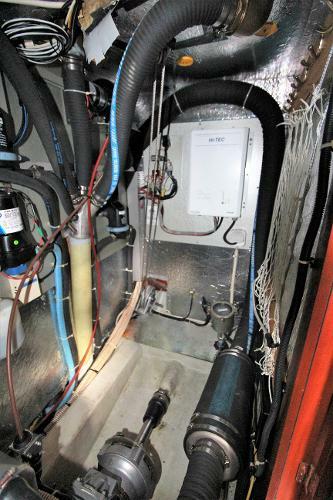 The companionway steps can be removed for easy access to the engine room. Standing headroom approx. 1.95 m.
Heads compartment amidships to starboard, standing headroom approx. 1.90 m, with white laminated bulkheads together with matching Corian® on the bench surface and the sole. Large wash basin built into the worktop. Manually operated toilet pump, discharged straight out discharge or to holding tank. Hot and cold pressurised water with single lever tap. The head of the tap may be lifted out for use as a shower. Below the sole, designed as a shower tub, a shower sump drained to the sea with an electrical pump. A passageway on the port side at the galley leads to the aft cabin. Ample cupboards and a hanging wardrobe. The berth bottoms are unvarnished and ventilated with holes to avoid condensation. Three portholes, whereof two opening, and a skylight which also can be used as emergency exit. Two wide full size berths approx. 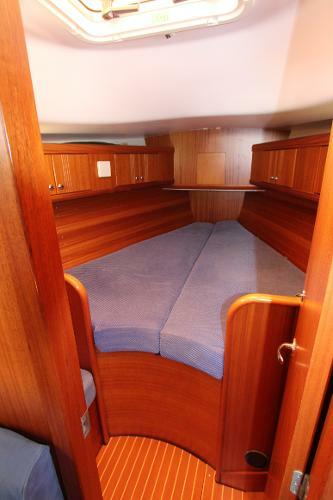 2.0 m.
Fore and aft cupboards longitudinal above the berths for stowage. 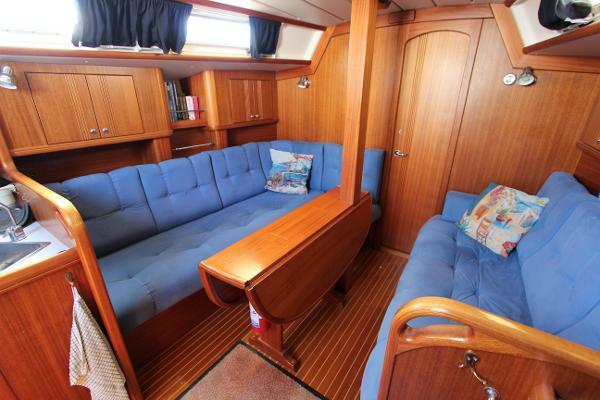 Wardrobe and settee on the port side and cupboards on the starboard side.